Why read this book? This is a superbly written parable whose main message is that in business, as in life, it is better to give than to receive. The Go-Giver is both inspirational and aspirational as you build your professional network. I can’t recommend it highly enough. Adapted from my new book, Career-ology: The Art and Science of a Successful Career, Chapter 3: Professional Networking. Click here to download 2 chapters of the book for free! Available on Amazon today. Jan Wallen’s Mastering LinkedIn in 7 Days or Less is a must read for LinkedIn newbies and experienced users alike. Because of Jan’s extensive professional experience in Fortune 500 and Big 5 firms, her book focuses on the very practical aspects of utilizing LinkedIn to find a job, identify new clients and grow your business. The book covers the basics from creating your initial profile to searching for and connecting with people in your network. As an extensive user of LinkedIn for her own business, Jan provides many of her own insider secrets, tools and services throughout. 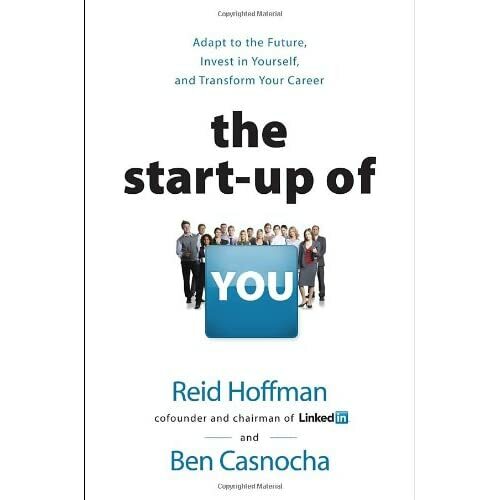 There are many books covering LinkedIn. This is one of the best. Jan Vermeiren and Bert Verdonck have written the second edition of “How to REALLY use LinkedIn” and are making it available for free. Vermeiren’s first edition is one of my top recommendations on the subject of LinkedIn. Passive, active and proactive strategies for people who are looking for new customers, new employees or a new job. How to be better prepared for offline events using LinkedIn. A brand new chapter about how organizations can use LinkedIn (versus individuals) including the new LinkedIn Strategy Matrix© for Organizations. Finally there is the new free “Video & Tools Library” with video tips, assessments, tools and webinar recordings. The book can be downloaded for free from http://www.how-to-really-use-linkedin.com (the library can also be found on that website). Working Identity – Unconventional Strategies for Reinventing Your Career by Herminia Ibarra is a must read for those currently in or contemplating a career transition or career reinvention. Ibarra is a Professor of Organizational Behavior at INSEAD.